It’s hard to imagine what it was like for Mary. She was young and newly betrothed when she said “yes” to becoming the virgin mother of our Lord. Though she had an immaculate soul and had consecrated her life to God, it didn’t mean she could see into the future, anymore than any mom can know what’s in store for her. 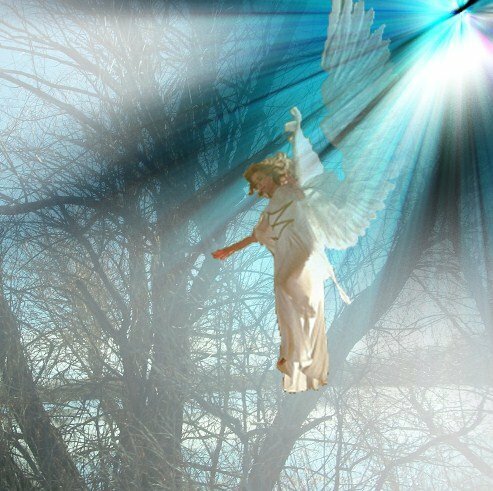 When the angel came to announce God’s plan, Mary could have said, “no.” She was probably overwhelmed and scared. Yet, in saying “yes” to life and “yes” to God, she became the perfect model of faith. But we know that “yes” isn’t always easy. I remember when I was first married. I thought of my artwork as my “babies” and I wasn’t at all sure about having children. Then God, who has a way of taking self-centered people and turning their reality upside down, stepped in. He made me into a parent! There is no time to be centered on yourself when you have young ones who need you desperately! Did I really say “yes” to coping with a toddler tantrum at McDonald’s? I had to go into the ball pit when my son refused to leave. Did I really say “yes” to running to the Emergency Room with a screaming child? We had to wait for hours before knowing everything would be OK. Did I really say “yes” to the late night talk on how to cope with a bully? It seemed like I couldn’t protect my kids when I desperately wanted to. Did I really say “yes” to having two teenagers in the house? Yikks! Mary taught us to say “yes” although we can’t see beyond the moment. Then Mary, Joseph and Jesus created the mold for family. To say “yes” means to love unconditionally. To say “yes” means to commit ourselves to creating a Rock solid foundation for our children. Mary and Joseph took Jesus to the Temple. They trained Him in faith. They shared all they knew about God. To say “yes” means to work in partnership with a spouse, facing the good times and the bad times together. Mary and Joseph had to flee their homeland with their new infant. Still they created a home wherever they were. To say “yes” means to trust in that foundation as the children step out into the world. Jesus left home to face false accusations, humiliation and torture; and still Mary trusted God. She was there at Jesus’ side to offer a love that went beyond the grave. With the help of our heavenly Mother’s intercession, we too can say “yes” to life without reservation. Parenting is a wonderful opportunity to move closer to heaven! So on this feast of the Annunciation, we meditate on the importance of saying, “Yes.” Let us pray that all young women, who feel the stirrings of life inside the womb, will say “yes”–trusting in God and guided by the Holy Family. –Judith Costello, MA, OCDS, is a professional freelance writer and artist. She writes four regular columns and is published in regional and national magazines.